Really excited to see how this boy develops! The most excited I've been about a youth team player since Ravel Morrison! This guy, along with Chong and Gomez have great futures. I hope it is here at the Theatre of Dreams. His age in the OP is incorrect, DOB is right but as he's born in 2001 he's 16 not 17. He was apparently great at U18 last season, so the next logical step would be to step it up at U21. We'll probably see him at preseason with no Lukaku and Rashford. I watched him a fair bit on MUTV last season and must say I was very impressed, i hope he developes his potential. 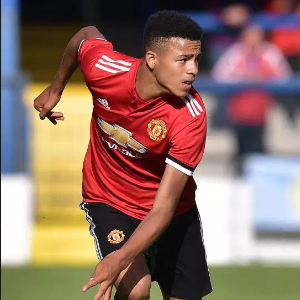 Be a bit of a rush to throw him up to U23s at 16, with a lot of the big talents already making the step up to U23s it'd be wise to keep Greenwood in the 18s for another season IMO, he was very, very good last season. He was scoring a goal a game in the u18s, why would that be wise to keep him there for another whole season? He is clearly already far beyond that level. And he'll hardly be the first ever first year scholar to play u23s. Would you have said the same thing last year about Hudson-Odoi or Ethan Ampadu? Daishawn Redan has also played u23s. 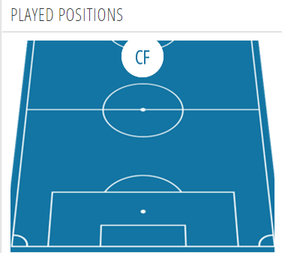 And that is just Chelsea, with the first two getting first team minutes. 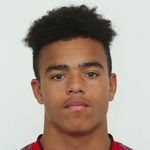 Why then would wasting Greenwood away in the u18s at the same age be wise? He should play the FAYC, UYL, and be promoted to the u23s as quick as possible. We are way too slow in our promotion of players. Yeah I don't see a reason to hold him back in the u18s given how well he did there already. Unlike Gomes, he's physically more able to handle the level too. Have to be careful with him at his age but wouldn't be surprised at all to see him have a similar Rashford-like trajectory over the next year or two. There’s a video of him taking on Darmian in training with predictable results. What's his general playing style like? Any current players he could be compared to? If you look at how he runs and his movement it's similar to RVP but much faster. With his finishing he's also similar to RVP in his technical ability and he gets his shots off really quickly; see 6:19 in that video @George Beast posted. He's comfortable with either foot, takes free kicks and corners with both feet. For his age he's coming on really well physically. Cheers. That sounds drool-worthy indeed! I think he gets compare to RVP because they have a similar bow legged gait. Greenwood is faster and a better dribbler than RVP. There’s no agreement on his best position. He can play the 9 or as a wide forward, it seems United see him as a 9. The ability for him to become a top player is there, if he has the mentality to see it through remains to be seen. I’m not sure I like the idea of him being drilled as a 9. Feels like a position where the player rely heavily on how he develop physically. It is also a very tactical position where a player see less of the ball, and often facing his own goal. Technically superb and fairly two footed. He has a real future, but the hard work is only just beginning for him, an exciting prospect nonetheless. When he plays for England he’s been in that inside forward position. Personally I think it suits him better because he has the qualities to dribble a player and his proficiency with both feet means he can’t be handle by his full back as easily. Personally I think his game went up a couple of levels when he started playing as a number 9 and I was a bit shocked at how quickly he adapted to it. He's always been a brilliant dribbler and striker of the ball but his hold up play, ability to hold players off and bring others into play and his movement off the ball developed extremely quickly when he was moved up front. He's also looked very good with something a lot of the strikers we've attempted to bring through in recent years like Rashford and Wilson have struggled with which is actually challenging for balls in the air both in terms of actually scoring from crosses & not giving defenders a free ride when the ball is in the air. I think he could be a very good player as a number 10 or inside forward because he has so much to his game but I think he could be a real star as a number 9 if he continues to develop the way he has over the past year and he looks like he'll have the physique for it as well. He's also looked very good with something a lot of the strikers we've attempted to bring through in recent years like Rashford and Wilson have struggled with which is actually challenging for balls in the air both in terms of actually scoring from crosses & not giving defenders a free ride when the ball is in the air. That's a very good point and something a lot of the young lads are struggling with. Even our young CBs don't look great in the air tbh. Its such a shame seeing Wilson's jumping ability be absolutely useless because he is clueless in the air. Its a stark contrast to someone like Shane Long who fully utilizes his leap. Yeah I think it's one of the biggest problems for lads who have been in academy sides since they were very young playing against other academy sides all the way up the ranks who generally just have different variations on the same style of sanitized football and players end up having difficulty adapting when they play foreign or lower league sides or move into the senior game & have to deal with teams launching it & getting smashed in challenges. Wilson was one of the worst I've seen for it he'd make a massive leap where he should have been beating defenders to the ball comfortably but his timing was atrocious & he wouldn't get anywhere near the ball. Tuanzebe seems to have improved it a lot in the past year or so but Williams still has a bit of a tendency to get caught under the ball or mistime his jump completely. From what I’ve seen, I see him as a 9 too. The issue is that many kids nowadays don’t fancy that position, and if they do, they are often not as talented as Greenwood. The skilful kids all want to play with the ball. Also, being a goal scorer is far more about mentality than technical ability for me. It takes balls to score goals regularly. Pogba is technically brilliant at shooting with either foot, but he’s currently not programmed to score goals. People like Lampard had the mentality to score goals, more so than a Pogba or Hazard for example. Or Sterling, in a white shirt at least. Hopefully Greenwood has this killer instinct too. Didn't had too many touches but absolutely how on his first few touches, he dribbled past a defender and hit a shot on target. Sterling in blue gets 10 chances in a game and only scored 2. When he got that growth spurt, that will be a challenge for him to adapt. What he will become? A tall lad or body like Messi? This is exciting for us. He is already close to 6 feet, when he is 21 he should be 6"4 or not grow at all. Really chuffed he got on. Must be amazing being a 16 year old in Uniteds first team squad. I like how little back-lift he had on his (on target) shot. He is definitely a talent. But still long way to go. I was surprised and impressed at his strength when receiving the ball with his back to goal, holding off a couple of defenders and winning a free kick. Physically he looked more ready than Chong (despite his age). Big IF, but if they keep their mind’s right, we really could have a ‘class of 20xx’ in the making here. All about timing and everything, but Chong, Greenwood, Gomes, O’Connor, Axel look the real deal to me, with some others potentially coming later too. Any video of him in this game cameos? And almost two years younger than Chong. Only just about old enough to remember 2008 as well so weird when you say it like that.